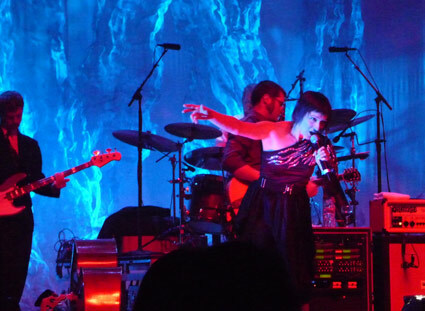 I know it's been a while since I gushed about The Decemberists, but Stacy and I went to their concert last night and it pretty much ruled all up in our faces and stuff. In unrelated musical news, I was watching the craptastically awesome movie Femme Fatale on HBO the other day when I noticed Rebecca Romijn Stamos was gyrating all over my 1972 Seeburg Jukebox! I gasped and shouted with excitement when I saw it on the TV. Suddenly I realized why gearheads love cars so much and why people buy Macs when they cost twice as much as PCs for half the hardware: it's because it's entirely possible to irrationally fetishize a mechanical device. (No, not that kind of mechanical device, you perverts). 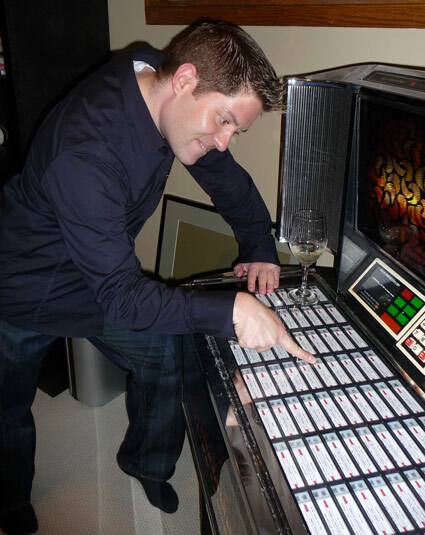 I heart my jukebox, so now I finally know exactly how those gearheads, Mac snobs, and Rebecca Romijns feel. Me too. Saw their latest show at the Fox Theater (stunning venue) in Oakland. They rocked mightily. 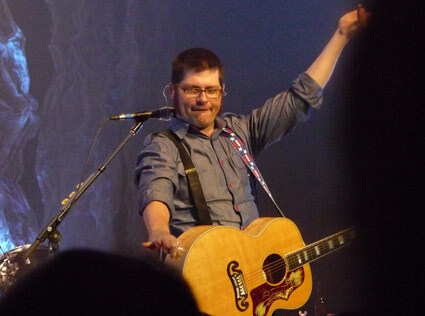 You are so very wrong about being the only Decemberists fan, as you can see. They are by far my favorite band in the universe. Nice pics, and thank you for that recording...sounds like a classic in the making. ohmygodohmygodohmygod...new Decemberists song! Huge Decemberists fan. I was lucky (read: stalkery) enough to see 3 Dec shows this year. I call us Dec-Heads (Dess Heads). The D's rocked my socks off in Raleigh earlier this year. And yes, you have readers in North Carolina. I know of at least two. Animated Friday (Burst Your Bubble Edition)!